We have submitted a Descent of Man (DoM) demo to the Independent Games Festival 2019 competition. This article highlights what the game is about, game features and next steps. 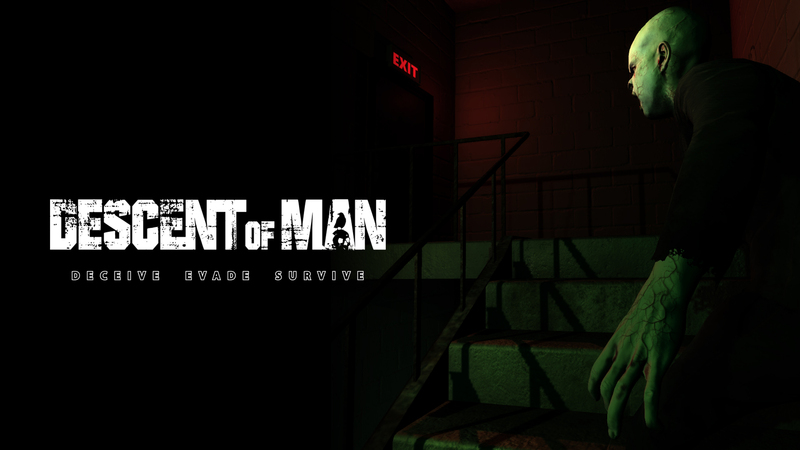 Descent of Man is a survival horror with a story about the twisted ideas of a city that aims to improve the human population for only those found worthy. As the player you will navigate your way to escape the remains of a city that has been abandoned by those who sought to escape the weaknesses of the world as they formed their own utopia nearby. 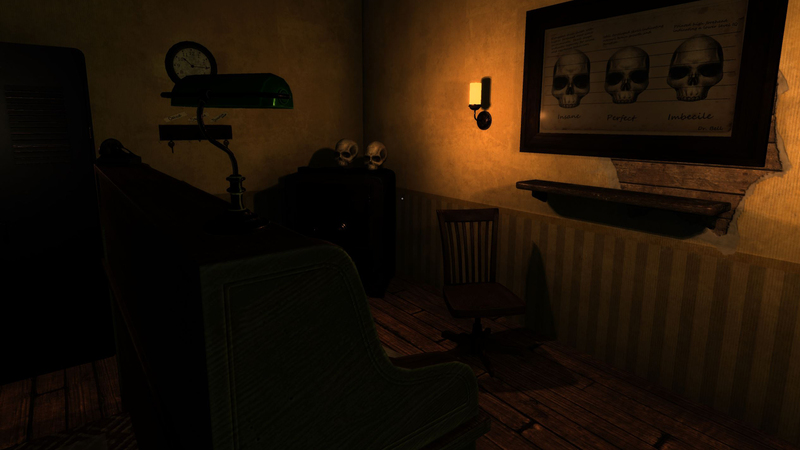 You will evade the dangers lurking in every corner as you unravel the mysteries of the horrors that took place to the people that once lived here. 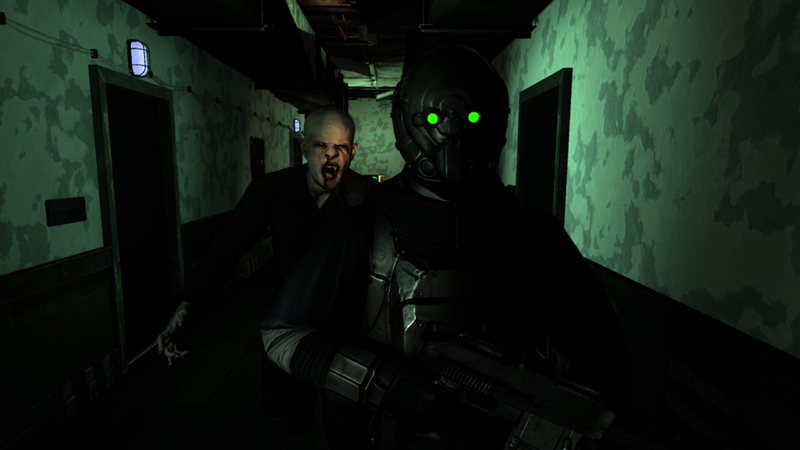 The only way to fight back is to outsmart the horrors or run from them. The strong will survive, and the weak shall perish. Which are you? Use the environment to mislead your enemies - throw noisemakers, turn on radios, leave doors and windows open. Sneak-up on unsuspecting enemies delivering a devastating blow. Better hope he doesn’t turn around or you’ll need to run from machine gun fire. To be totally honest the visuals of the demo are okay but they were rushed (especially the lighting and blending of animations) to submit a demo to IGF. The nice thing about submitting the demo is it gave us something to work toward as a team - a milestone. If you also moonlight then you understand that milestones are a great way to keep the team working diligently. Though we didn’t hit the visuals we wanted, we got all the core gameplay mechanics of the game completed which was our primary goal. 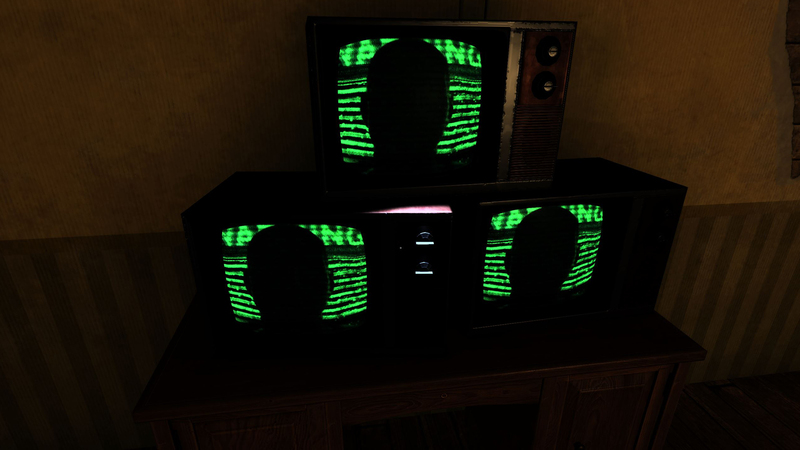 We have a nice smooth player control system with a robust custom AI engine that supports some sophisticated AI patrolling and hunting you down based on how you change the environment (opening doors, windows, hiding in cabinets, making noise, etc). After submitting our demo to IGF we have tighten up our production schedule and are working diligently over the next 12 weeks to produce the first chapter of at least four of the game which we hope to release to a small community for beta testing. All feedback will be used to improve the first chapter and support the design and development of the next chapters. In addition, we have invested additional funding toward buying more software to support our art pipeline in order to allow us to hit the visual quality we’d like to achieve with a small team. As most of you know, it is a lot of work to build a game but it is also very rewarding to see your paper ideas become fully functioning game features. Please show us support by subscribing to our email list via our game website and becoming a watcher of our game here on IndieDB - and leave comments! If you are interested in playtesting a beta please message us. Or if you just want to leave feedback on what you see, leave comments on this article.